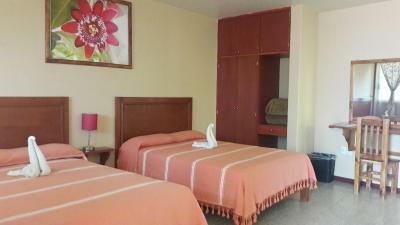 Lock in a great price for Hotel Florida Oaxaca – rated 8.5 by recent guests! Really friendly owners and staff in a terrific location! Breakfast, included in our stay, was good with several different options. The rooms while basic are very clean. We had no street noise despite the hotel's location only 2 blocks from some of the busiest parts of the Centro. As with anywhere with tile floors, there is noise if the person in the room above you decides to cross the floor 15 times in her high heels before she goes out . . . . but otherwise, no problems with guest noise either. We enjoyed our stay. The breakfast served was very good - fruit, juice and a selection of items to choose from. They make good pancakes. The worker is very friendly and does a good job of serving. 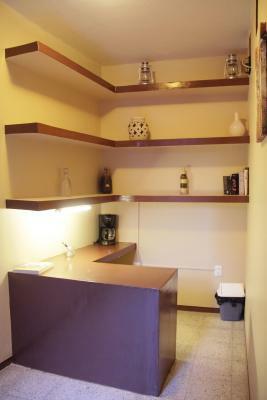 Great location near the 20 de Noviembre market! Staff were helpful and nice. 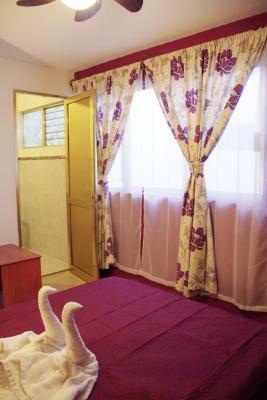 The room was basic but clean and adequate. Great breakfast. Blanca, the owner, and the rest of the staff were very kind and super helpful with things like arranging taxis for us. 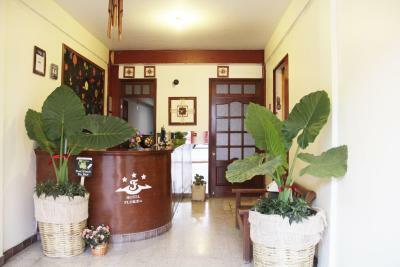 The included breakfast was filling and delicious, and our double room with two double beds was spacious and comfortable for two friends traveling together on a 6 day stay. Definitely recommend. Bed was Very hard. Hot water was fickle. The breakfasts were good. 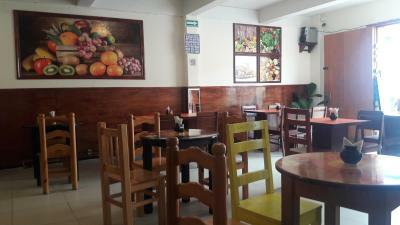 Blanca, Juan and staff were excellent, friendly and super helpful. Hotel Florida Oaxaca This rating is a reflection of how the property compares to the industry standard when it comes to price, facilities and services available. It's based on a self-evaluation by the property. Use this rating to help choose your stay! 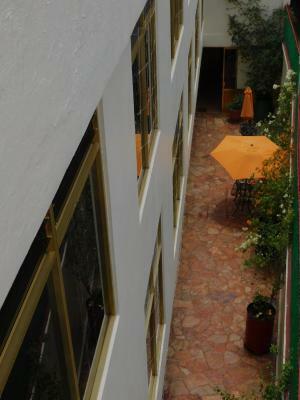 Hotel Florida Oaxaca is located 8 minutes’ walk from the handcraft market and 1,650 feet from Oaxaca Zócalo Square. 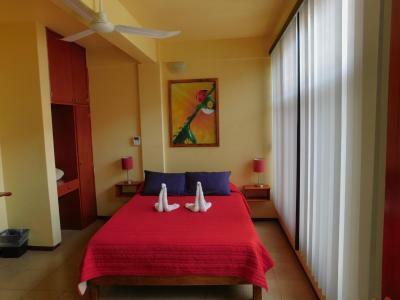 It features free Wi-Fi, room service, a large terrace and cyber café. 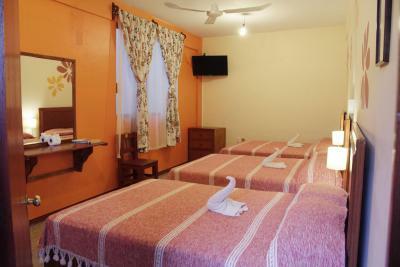 The rooms offer basic décor, ceiling fan, desk and cable TV. 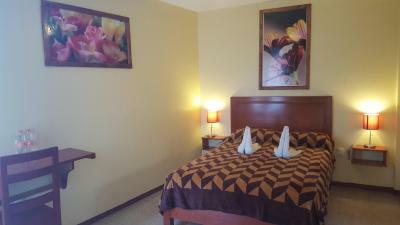 The tiled bathrooms are private and have shower. Guests at Hotel Florida Oaxaca can enjoy Mexican and international food in the on-site restaurant, open from Monday to Saturday. 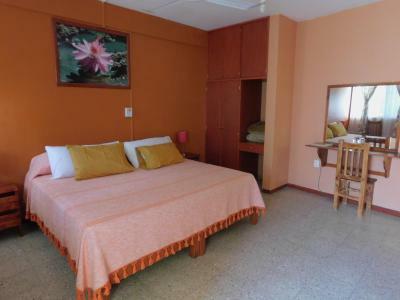 Among these amenities, the Florida Oaxaca offers free local calls, laundry service and guided tours, both with an extra charge. 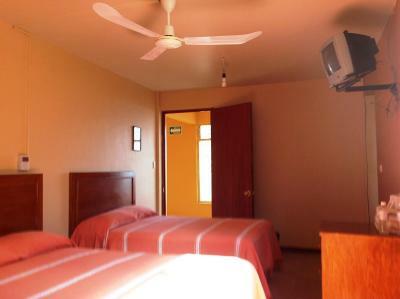 This property is 6.6. km from Monte Albán and 5.3 mi from Atzompa Archaeological Site. 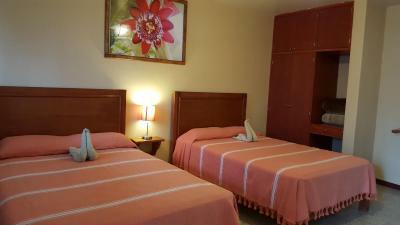 Guelaguetza Auditorium is 10 minutes’ drive away and Xoxocotlán International Airport is a 25-minute drive away. 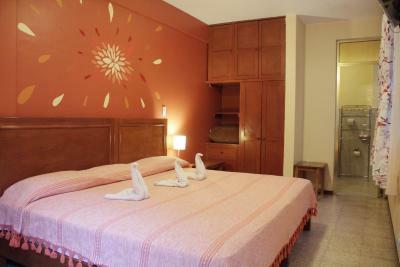 When would you like to stay at Hotel Florida Oaxaca? 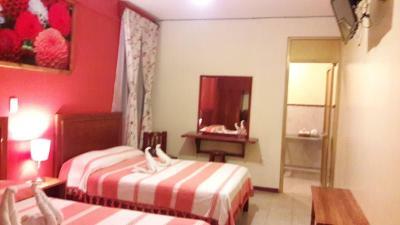 This room offers 1 double bed, free Wi-Fi, ceiling fan, desk and cable TV. The tiled bathroom is private and has shower. 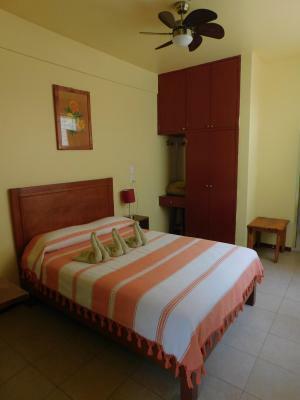 This room offers 2 double beds, free Wi-Fi, ceiling fan, desk and cable TV. The tiled bathroom is private and has shower. 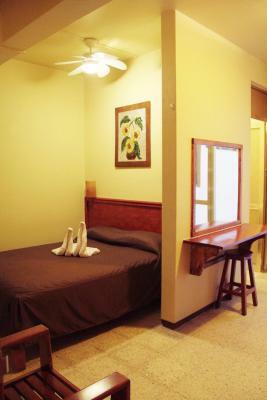 This room offers 3 double beds, free Wi-Fi, ceiling fan, desk and cable TV. The tiled bathroom is private and has shower. Please note that the rate is based on 3 guests. 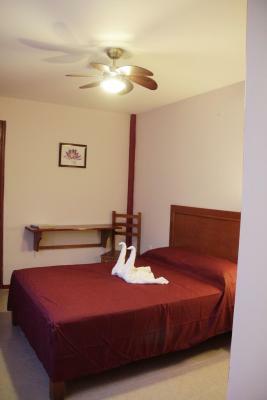 Maximum occupancy is 5 guests (see hotel policies). 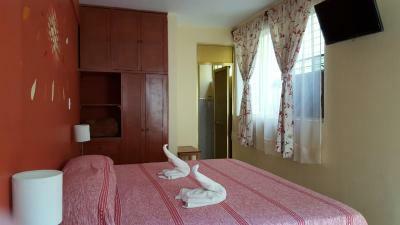 This room offers a king-sized bed, free Wi-Fi, ceiling fan, desk and cable TV. 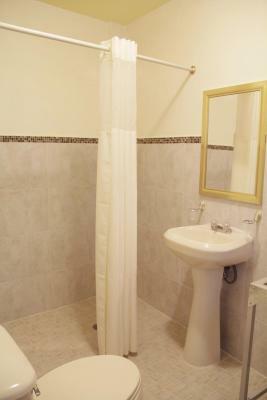 The tiled bathroom is private and has shower. 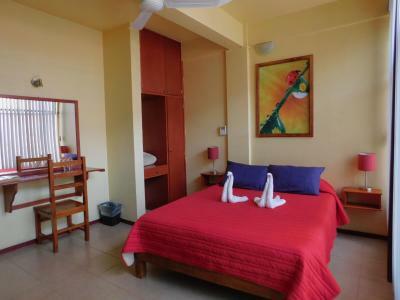 House Rules Hotel Florida Oaxaca takes special requests – add in the next step! 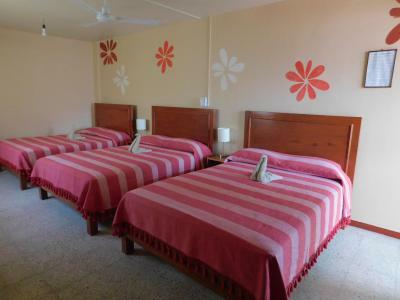 Hotel Florida Oaxaca accepts these cards and reserves the right to temporarily hold an amount prior to arrival. 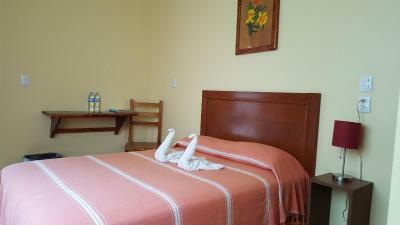 Please inform Hotel Florida Oaxaca of your expected arrival time in advance. You can use the Special Requests box when booking, or contact the property directly using the contact details in your confirmation. 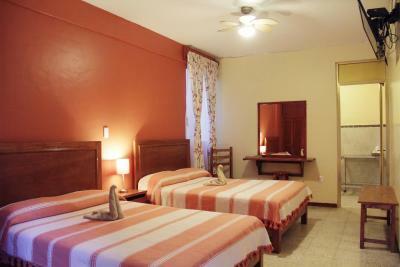 Perfectly located in the centre of Oaxaca, with good breakfast options and lots of restaurants within walking distance. 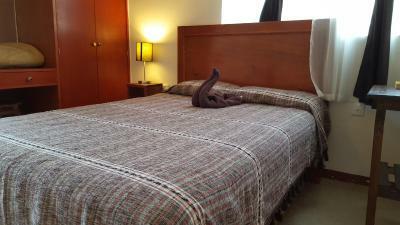 This is paired with a friendly, helpful host, which made our stay even better. Our room was towards the garden alley and therefore we heard about everything - voices, traffic etc. 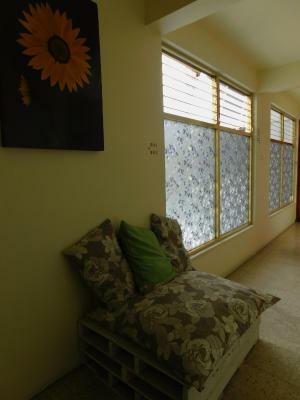 The room needs screens on the windows to keep the mosquitos out. It was a little hot with the doors and windows closed, but keeping them open let in the mosquitos. The staff was great. The breakfast was good. Booked here for two nights and enjoyed every moment. 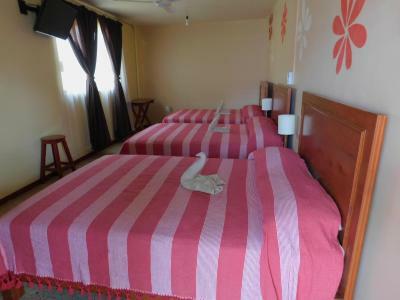 Note that this is a family owned hostel with basic rooms, which are super clean and comfortable. 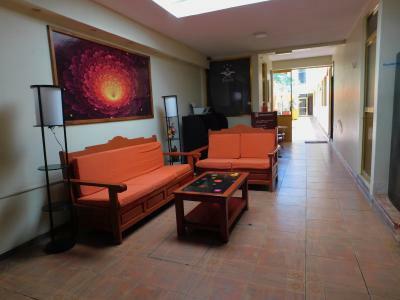 Upon my arrival, I was greeted by the Señora ( lady in the house) who explained everything about the hotel and advised on possibilities of sightseeing, restaurants, activities etc. The hospitality of the staff was just amazing. 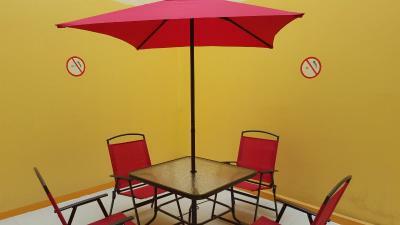 The patio in the hotel is colourful, charming, beautiful and relaxing if you want to sit and have food or drinks. 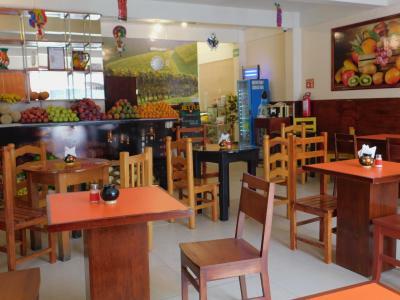 The Hotel serves and provides a number of tasty breakfast options. 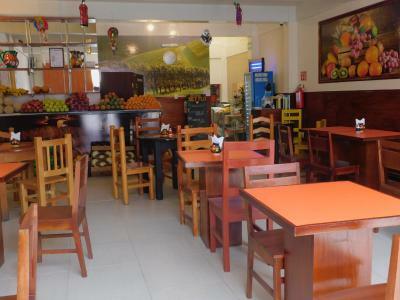 You can also dine here and select from the amazing juice bar they have. 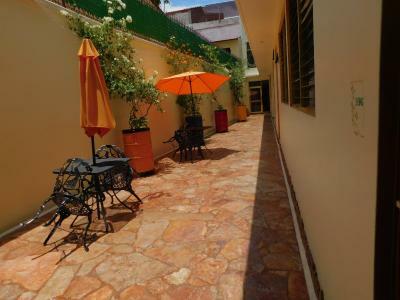 The location is ideal and walking distance to major markets and great for a stroll anywhere in the historic centre. 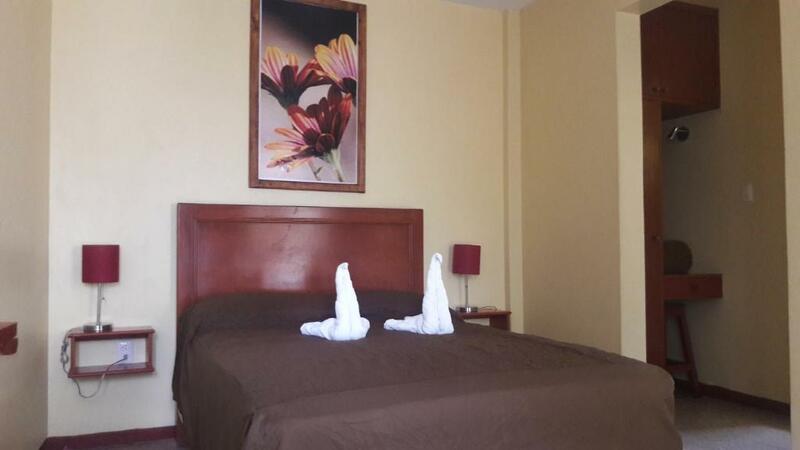 This is a true value for money and you won't regret your stay. 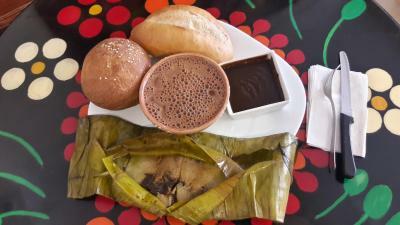 I Wil definitely stay here again when back in Oaxaca. Offering a filtered water fountain for the guests would be a neat addition. 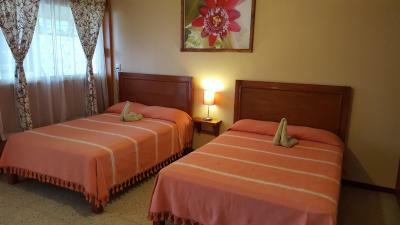 Blanca and José were very welcoming and helpful always supplying us with tipps and information. 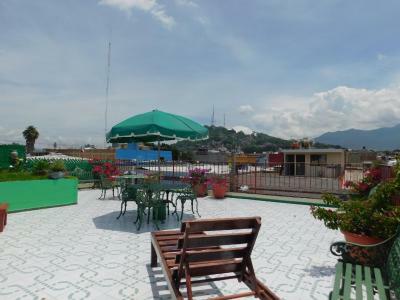 Very good breakfast, tasty food in the restaurant and a nice rooftoop terrace. 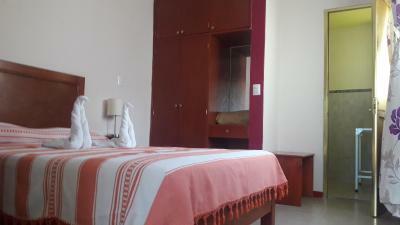 Rooms were cleaned daily and therefore in spotless condition. Especially friendly staff. 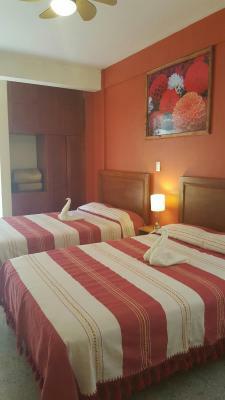 The hotel was very clean and safe and the location was excellent. 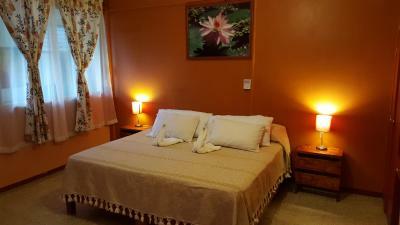 ..... really sorry to say, because people were so nice - the aera is not sooo nice - the positiv thing, not many tourists - and the hotel would need "new colors and curtains"... and a light above the bathroom mirror ;-). Stay there, if yo are an early bird - an open garage next to the hotel made no need of a ringing bell in the morning, they startet about 6 am..... 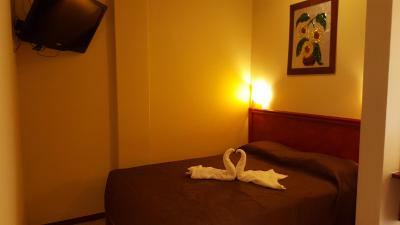 It's a few blocks from the lively market and the Big zocalo, and nice colorful hotels and really lovely hostels, good and lovely little restaurants, bars and super rooftop bars and a lot of galleries etc. are more at the other side of zocalo, east. It's an easy walk from the hotel, about 15 minutes. Extremely nice stuff and receptionista, very good breakfast with big fruit plate and good coffee and fresh juice and nice jazz music, and a nice Terrasse on the roof ( no bar)....and never met such a nice roommaid who were loughing so much by repairing the Toilette on the first morning! So I really want to thank the helpful people. It is not problem of hotel . 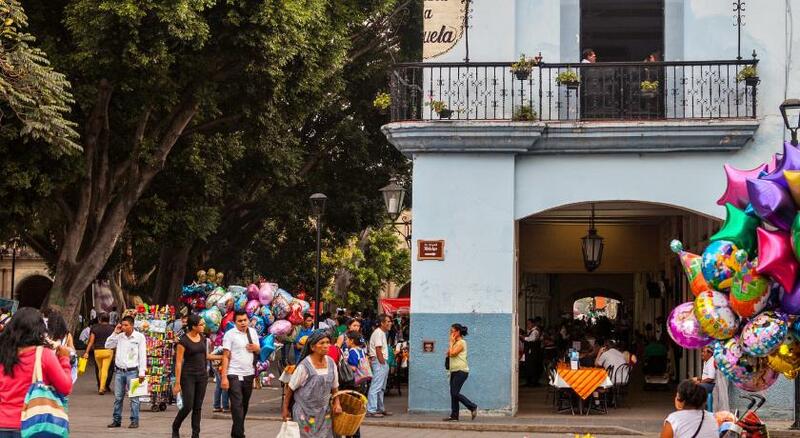 Oaxaca has busy and noisy traffic , so thats why it wakes you up in early times . It was clean . Staff was helpfull . Breakfast was great . Super friendly staff. Location is great. linens are synthetic and the location is not in a nice neighborehood (kind of center but not in a nice part of the city - didn;'t feel too comfortable walking home alone at night. My room was above a busy road but other than that it was great!